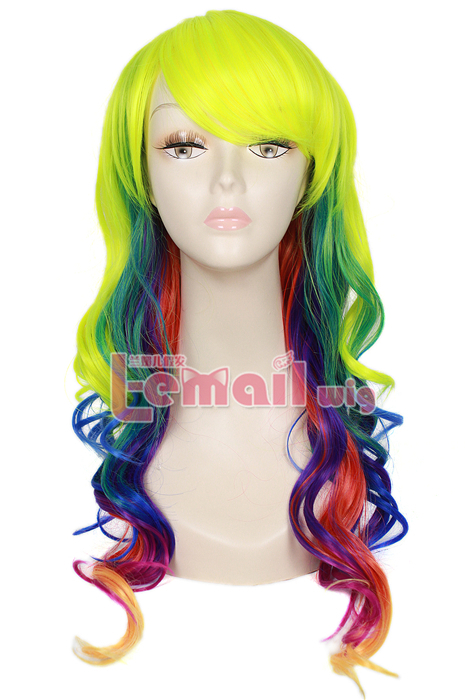 Rainbow wig has become the symbol of fashion as nowadays people pay more attention to the beauty and fashion. If you are an 80s or 90s and have never worn a wig before, then you are “OUT”. Without several wigs in hand, your life is too boring and plain. Try to use wigs to rich your life and show the taste and personality, and you will get far beyond the expectation. In the last decades more and more women are embracing the type of multifunction that comes with a wig, but it seems as if the rules need to be set again. Nowadays the changeable and fashionable wigs are available very conveniently. Not only in the working time, but also in the daily life, girls may like wear a wig to display a unique and attractive appearance. Rainbow hair, a cool and colorful response to granny hair, is becoming a more and more popular trend. 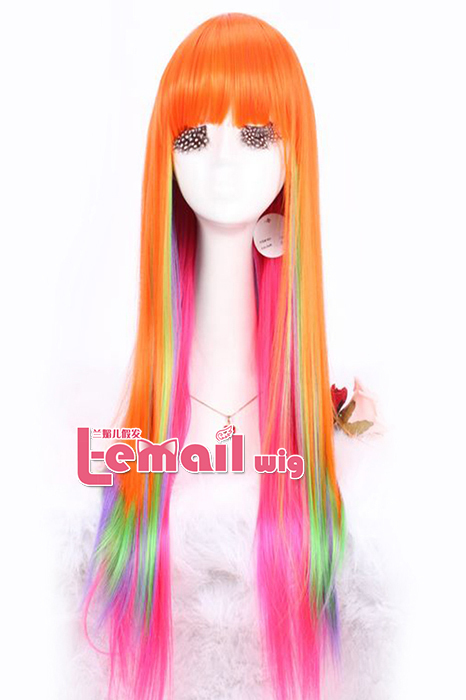 Why not having a try to this awesome rainbow wig?! 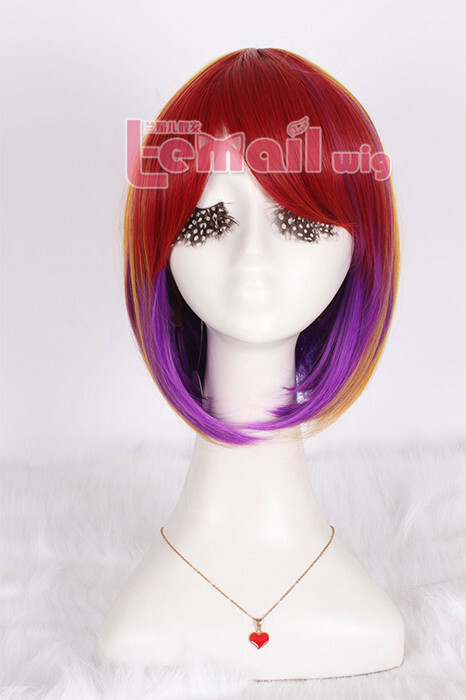 This entry was posted in Buy Cosplay Wigs, Fashion Wigs and tagged fashion wigs, long wave wigs, rainbow wig.